My journey through industrial history and the impact of the arts on mill towns landed me in Beacon, NY, where I visited Dia: Beacon, a huge contemporary art museum situated in a former Nabisco printing facility. 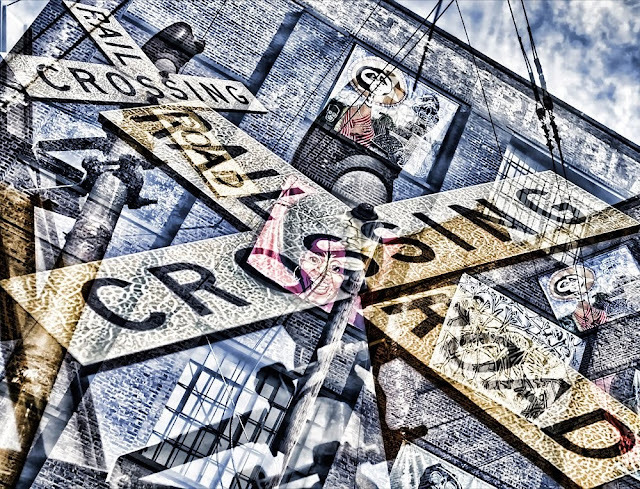 As I enjoy photographing in a variety of modes, my report includes photojournalistic and abstract works. The abstractions are in-camera multiple exposures. The history/future of manufacturing in the Northeast and the arts as economic engine are complex issues. 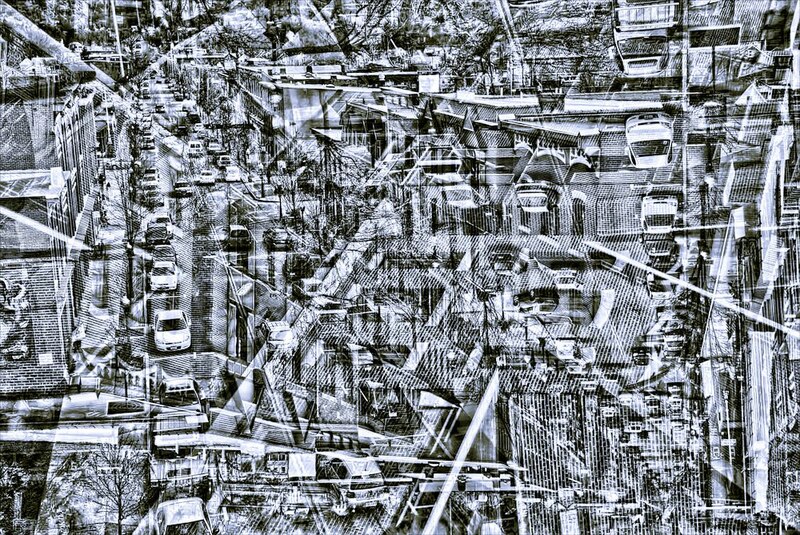 I believe my Reality-Based Abstractions can certify the complexity, yet also illuminate integrated trends. Beacon Falls Cafe (an American Bistro), The Mill Antiques (New England country antiques), and Echo (a designer boutique) are located at one end of Main Street in Beacon. Across the street empty mill buildings awaiting new life line Fishkill Creek. 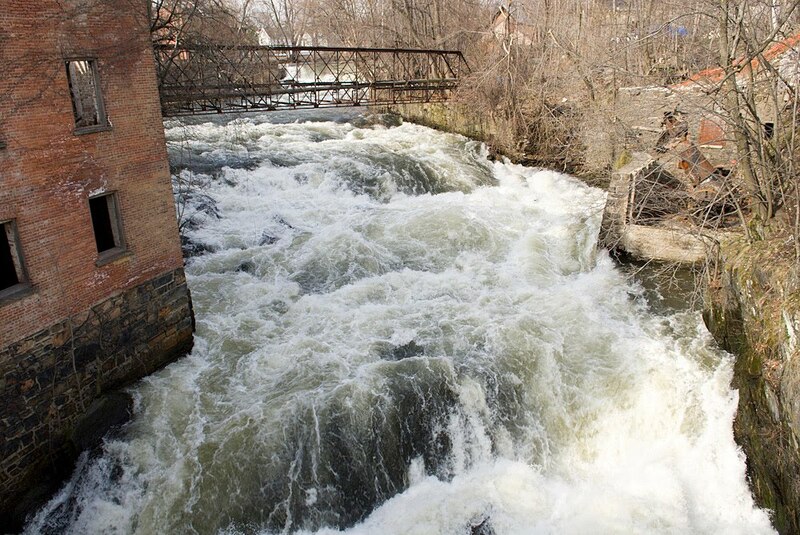 Mill towns sprang up along waterways as rushing liquid powered the initial mechanization of industry. Beacon fell on hard times in the 70s when manufacturing plants shut down. 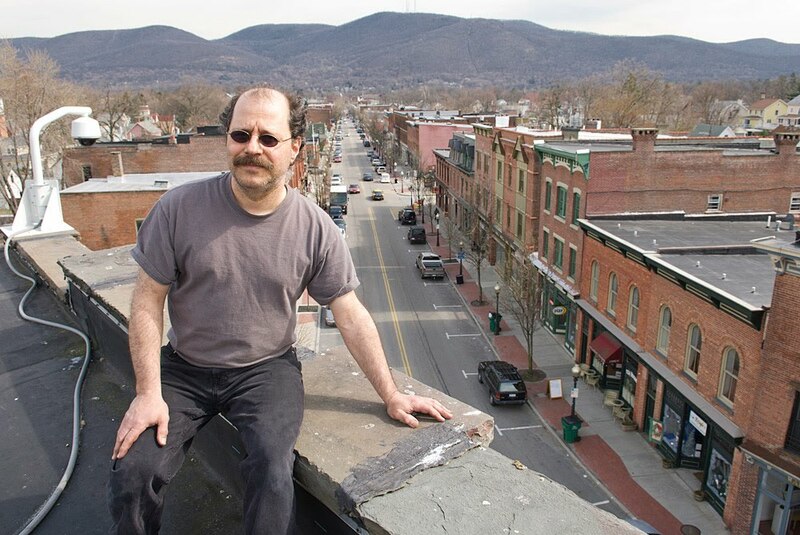 Glass artist Michael Benzer sits on the roof of a former fire station that houses his studio and store on Main Street. 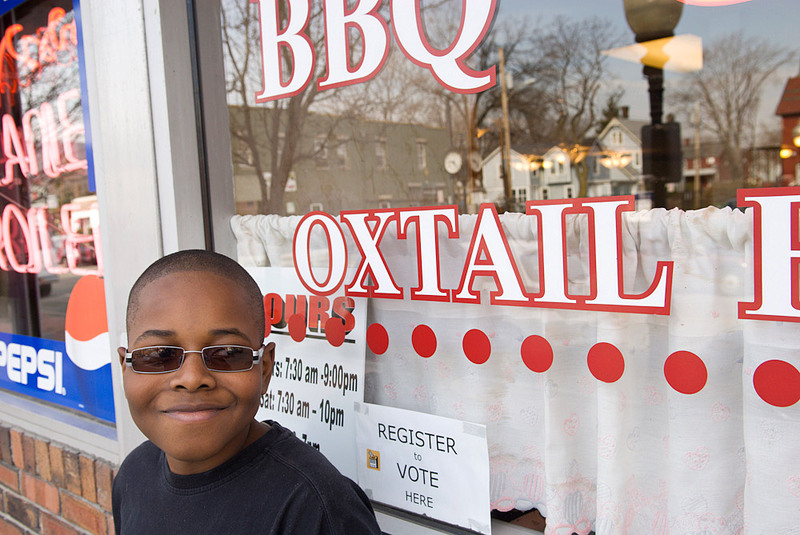 Mr. Benzer has worked in the area for over two decades, but moved his operation to Main Street in 2003 because he learned that Dia: Beacon was coming to town that year. Another early pioneer Carl Van Brunt, opened Van Brunt Gallery. Other galleries and restaurants catering to the arts trade have set up shop as well. 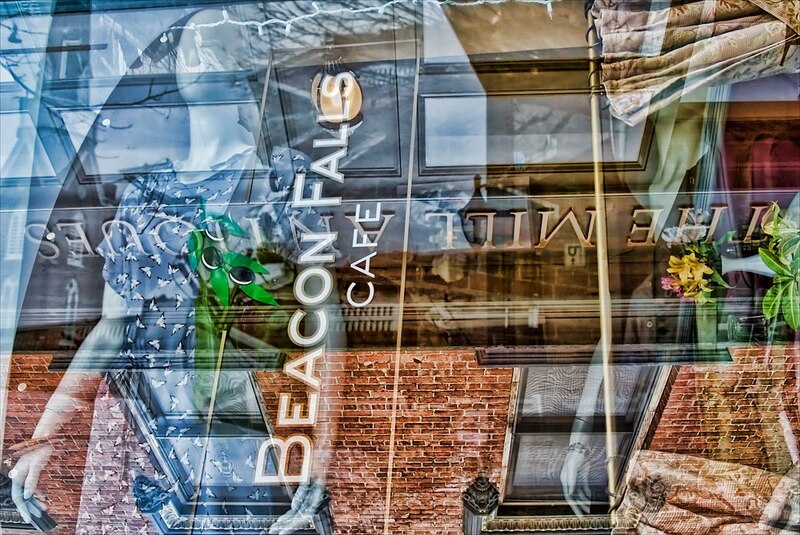 Artist and entrepreneur Benzer describes a confluence of factors leading Beacon's revival. Along with the creative economy spurred by Dia: Beacon, he notes changing demographics. Beacon sits on the Metro North rail line, 60 miles (80 minutes) North of New York City. After 9/11, some people that moved out of NYC settled in this area. Also, telecommuters can work primarily at home, perhaps only making the long commute into the city a couple days a week. Art and architecture students from the University of Oregon on their spring break trip to New York City head towards Dia: Beacon from the nearby train station. Trains that once imported raw materials to the Nabisco plant and then exported the printed boxes, now import art enthusiasts from around the world and export commuters to New York City. 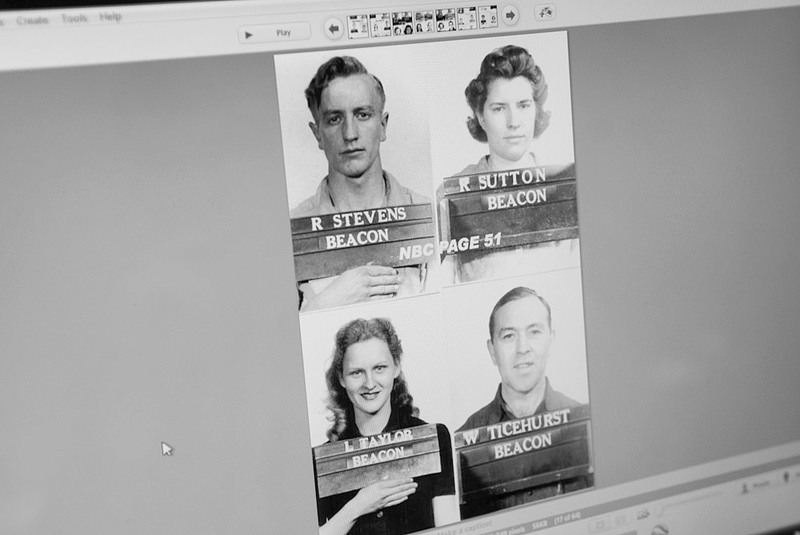 I found these images of former plant workers at the Howland Public Library in Beacon. Their former plant is stripped down to the basics of floors, walls and windows to showcase sprawling exhibitions by the likes of Andy Warhol, Agnes Martin, Dan Flavin and Sol LeWitt. Take a look. John Ballo worked for at the plant for 42.5 years and has lived in Beacon for 83 years. Such was his workplace enjoyment that he used to sing while repairing the huge printing presses. The contemporary art on display does not impress him. He explained to me that large holes cut into the museum floor on the site of his former machine shop lack the talent and artistry of Italian sculptors carving figures out of marble, complete with detailed veins and eyelashes, "A pile of sand, a pile of broken glass are not as attractive as one of the machines (presses) moving at a terrific speed." According to Mr. Ballo, the city granted Dia: Beacon tax free status. He is annoyed that the museum, which has enough money and social position to present a plain wooden box as art, should receive town services for free, while a "90-year-old woman hanging by a thread" struggles to pay her taxes. Manufacturers search for cheaper labor. Many of the mills in New England closed as owners found cheaper labor in the southern states. Some of these operations shut down in favor of cheaper overseas labor. Barbarians at the Gate: The Fall of RJR Nabisco outlines the stock price manipulation and hostile takeover that led to the gutting of the company. John Ballo cites the these reasons for the closing of Nabsico's Beacon plant that put hundreds out of work. The Alliance for the Arts, a New York City based organization, advances the arts by presenting the facts about the positive economic impact of the arts industry. The organization commissioned my friend Benjamin Swett to photograph and write The Hudson Valley: A Cultural Guide. 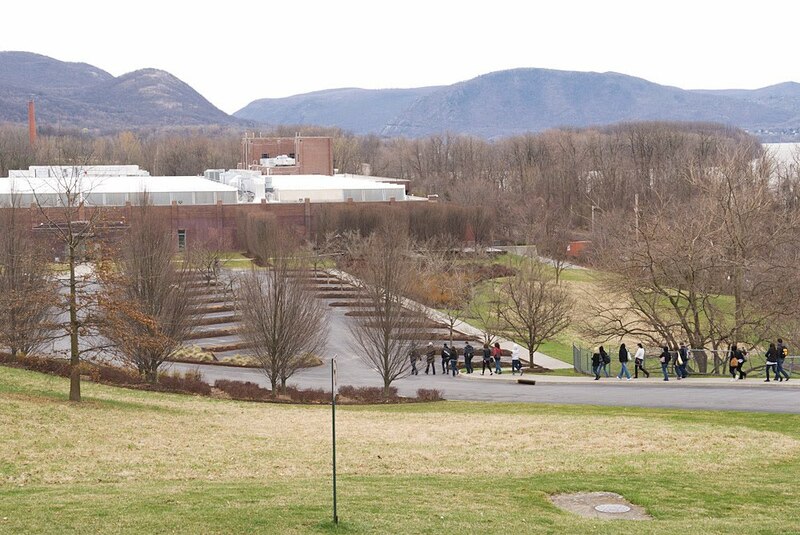 His explorations up and down the Hudson River, 400 years after Henry Hudson, included a visit to Dia: Beacon. I met Kamron Husbands on Main Street in Beacon. 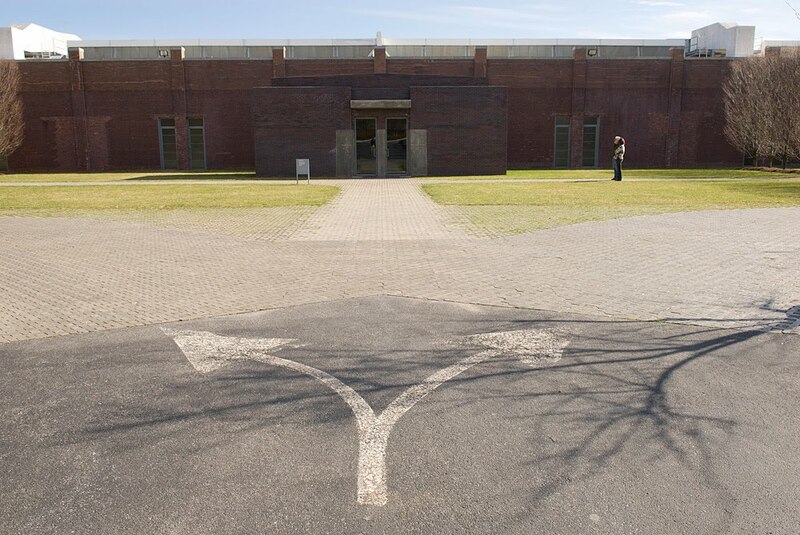 He lives in town, considers himself an artist and regularly visits Dia: Beacon. Regarding the impact of the museum on the town, Mr. Husbands says: "The town is getting artistic. Dia brings hope to Beacon." Yesterday I ran into a web developer who works for Gravity Switch. He told me about their new product the iBracket, which turns an iPad into wall mounted interactive screen, ideal for, well, museums and art galleries. It is manufactured in the US. 21 days from product conceptualization to first sale. I have more information and photographs for this creative economy story. If you know of any possible venues for publication, please let me know. Thanks!